© 2013 by Angela Prickette; all rights reserved; content may not be copied, rewritten, or republished without written permission. If you are someone who is deeply invested in living in a home that is uniquely your own, you need to think about home customization. Good home design is essential for making it personal to you, but do you know what rooms need the most love from you? Before you start looking into home builders, take a moment to learn what rooms can use your personal touch. In many ways, the kitchen is the heart of your home. It is where you prepare the food that nourishes yourself and your family, and because of that, it should have a place of honor in your heart! However, too many people see the kitchen as a utilitarian space. Give the kitchen a little bit of style and glamour by considering replacing the counter tops with stone or tile. When you go to consider a backsplash, consider one in glass or one in blackboard paint, so that you can leave messages for your family members. As the custom home builders in Wisconsin will tell you, you can do wonderful things with your kitchen if you just plan ahead a little. 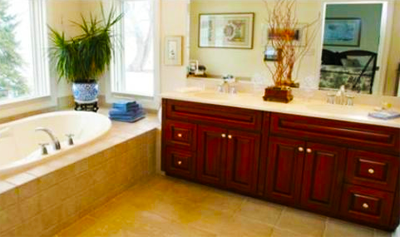 Use the water associations of the bathroom to create a place that you love. Choose glassy tile to recall the motion and light of the water, and consider picking colors in blue and green to create a natural feel. Another popular closely-related idea is to adopt a botanical bath design. This is a water theme with the flavor of the tropics. A little bit of luxury in your bathroom can go a long way towards making that long soak in the tub extra luxurious. The bedroom is where you go to recharge. Consider that regardless of what we do during the day, we spend one third of our lives here; this fact alone gives it importance. It should be a restful spot that recharges you and allows you to replenish your energy. Too many people simply think that it is a room that they use to sleep, but the truth is that the bedroom is so much more than that. You go there to feel safe and unexposed, and this is where some good decorating comes in. Think about colors that make you feel soothed. A soft lavender is perfect for a bedroom. Avoid stark white, as this type of cold brightness can make it difficult to sleep. Use the bedspread to compliment the color of the walls. For example, a soft blue room can benefit from a gentle cream bed spread. Make sure that the light fixtures put off a rather diffuse light, to prevent it from being too harsh. Angela Prickette is a recent college graduate writing on behalf of home builders in appleton wi. She works for herself as a freelance writer and photographer. Her favorite activities include, skiing, rock climbing, and personal fitness.